Gorka-3 Python colour suit has to imagine his forethought and flawless functionality. It is composed of the advantages and none of the disadvantages. This garment is designed for the harsh conditions in which the rules of strict laws, does not forgive mistakes and errors. 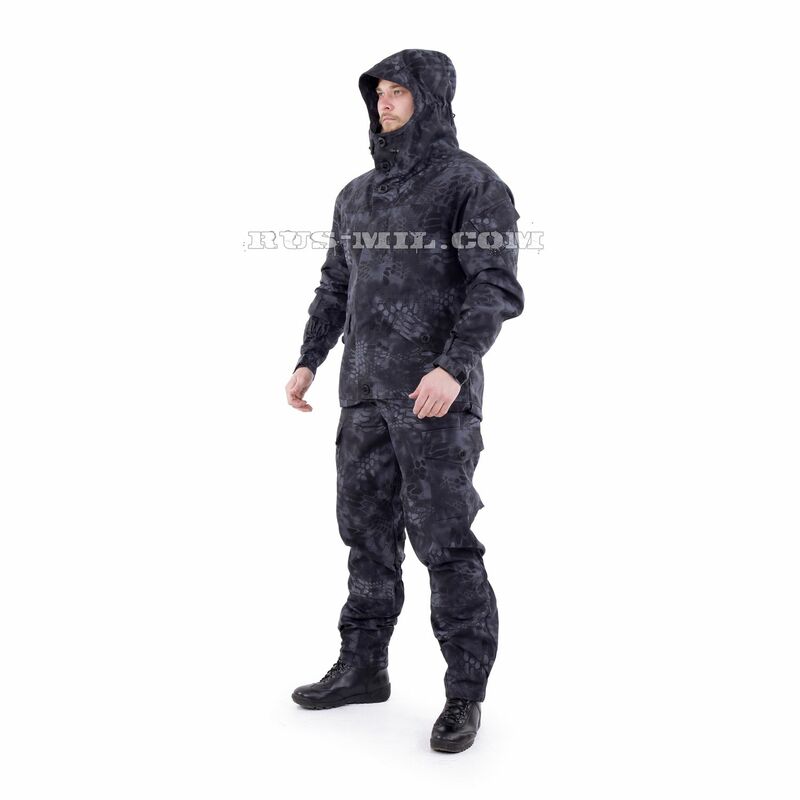 The summer windproof “Gorka” suit in the Typhon colour camouflage pattern features a military uniform style and a regular fit. 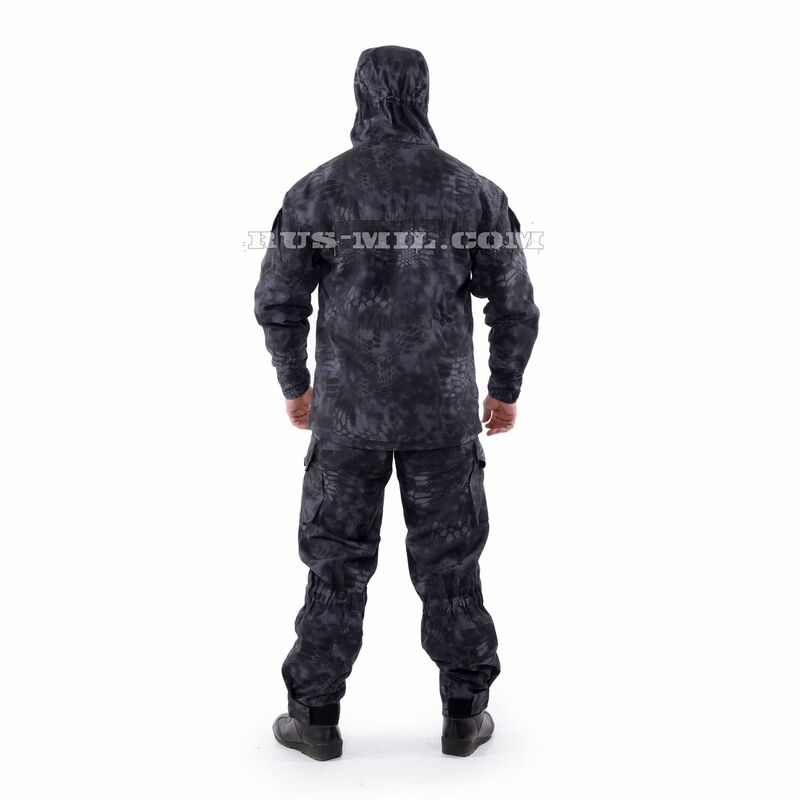 The suit is made of mixed fabric (50% cotton, 50% polyester) composed of high-strength reinforced synthetic yarn which makes the item durable and wear/tear resistant. 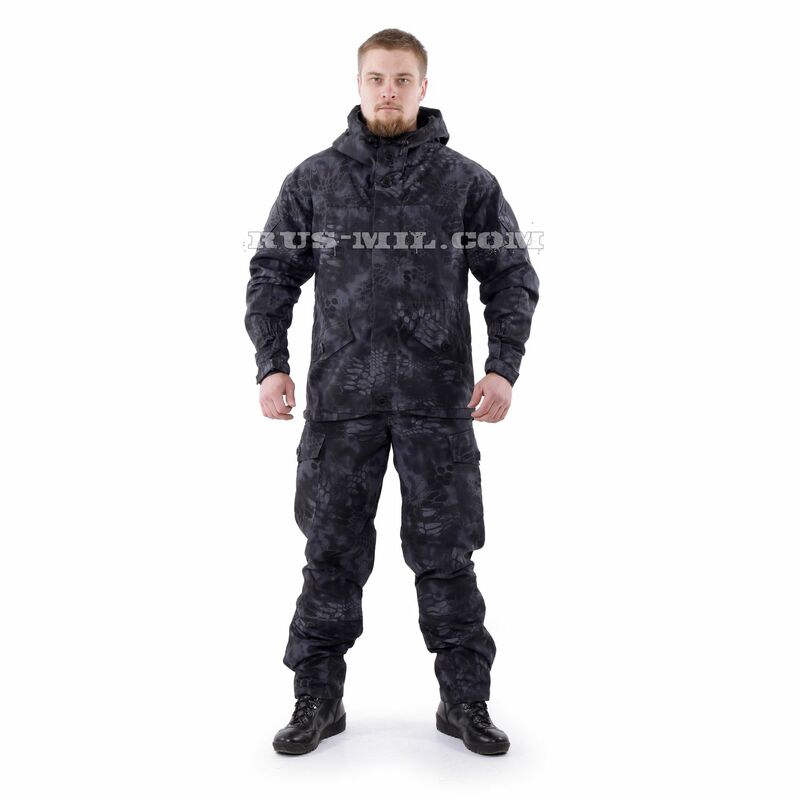 This breathable suit is ideal for summer weather: it can be used both as a basic layer and lightweight outerwear (or individual camouflage cover). The complete set includes two pieces – a jacket and trousers. The jacket features a regular fit which makes it a “one-size-fits-all” item – it can be easily adjusted to the needed size and volume by means of the waist and hem draw cord with cord locks. The “Gorka” jacket provides excellent protection against strong winds by means of several details: a special windproof flap on the front fastener, a high neck covering the chin, two adjustable drawstrings on the hood. Both pieces of the set feature durable buttons sewn to the fabric through the tape. 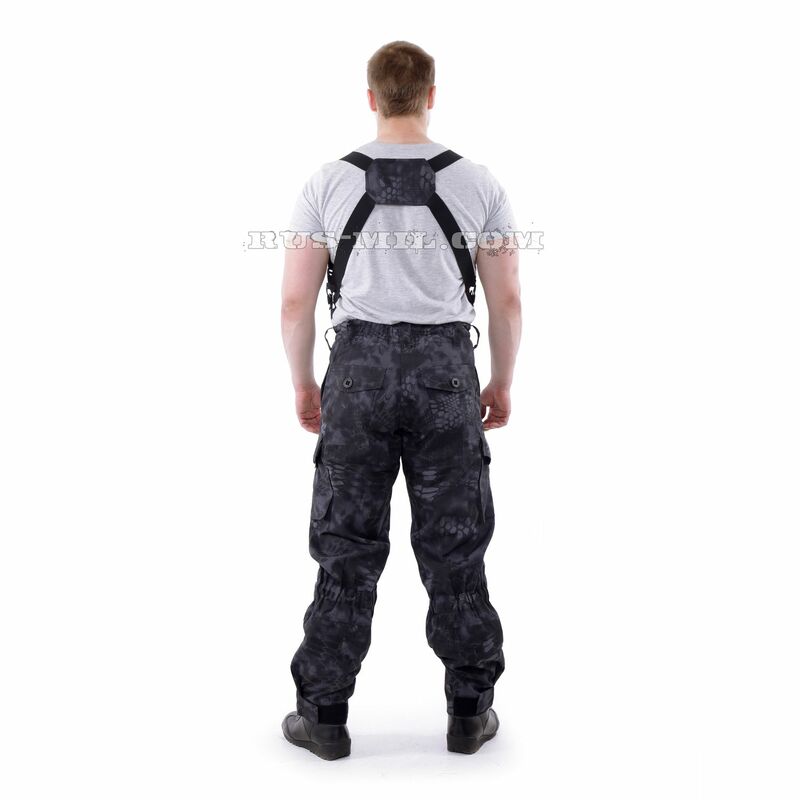 In fact, this technology perfectly suits military uniforms because securely fixed buttons ensure comfort, ease of movement in various combat situations, and they will stand the harshest operating conditions (for example, when dragging someone along the ground or grabbing the jacket to keep someone from falling down). 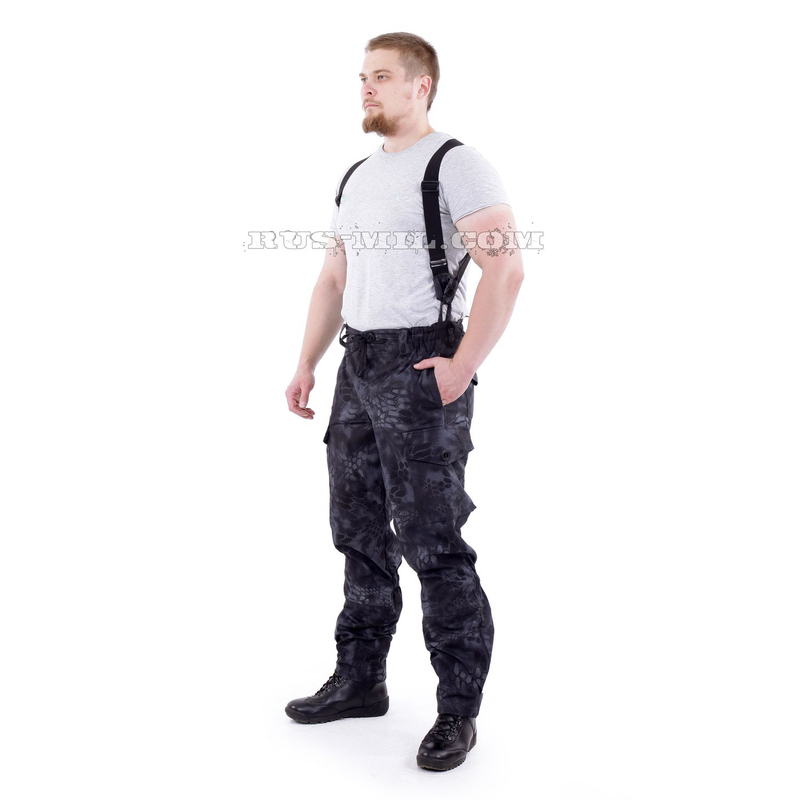 The trousers feature an adjustable textile waist band which ensures a perfect tight fit and good protection against dust and insects; codpiece on buttons sewn through the tape; practical anthers on trouser legs (one layer of the trouser leg is tucked inside the boot itself, the other is securely pulled over the boot-leg). 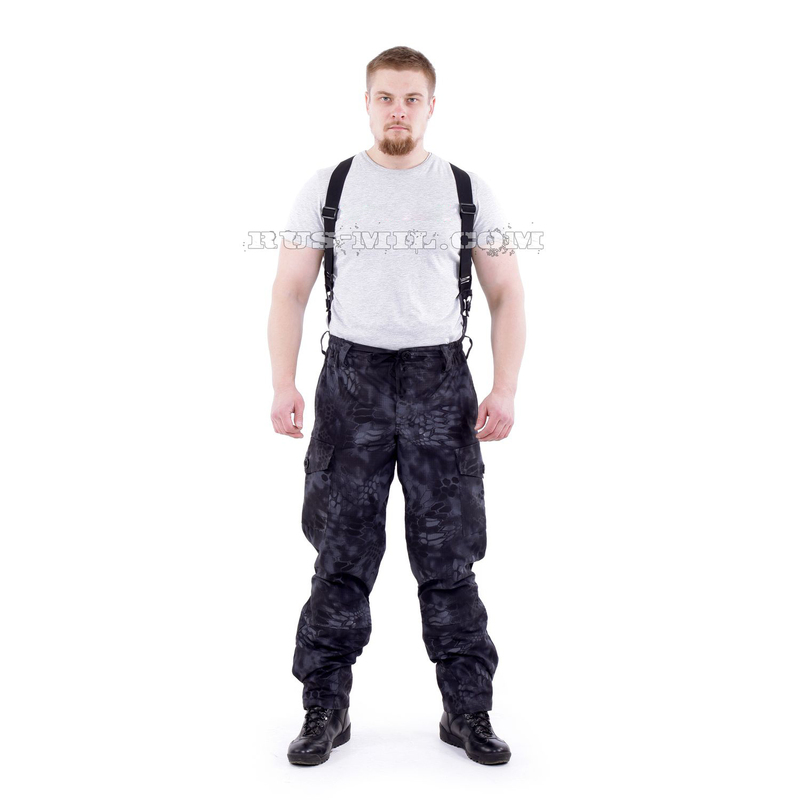 The set includes removable suspenders. tent fabric: 100% cotton, density of 270 g / m2. Gain: wear-resistant fabric 50% Polyester, 50% Cotton.